For any small-business owner using QuickBooks for small business accounting, there are an overwhelming amount of options within the program that might pertain to your business. The hard part is finding the features that make sense for you and maximizing your time while working on them. One feature that all small-business owners eventually need is budgeting. With some basic budgeting tools, a business owner can forecast certain trends over a period of time, make wiser decisions on upcoming major purchases, and track cash flow. 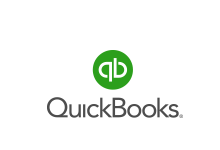 QuickBooks makes all of these very easy by following a few simple steps. First, you need to setup your budget in QuickBooks. Under the Company menu, you will find Planning and Budgeting and the command to Set up Budgets. When you go to set up your budget on this screen, you are able to pull in numbers from a previous period if desired. Alternatively, you can either type in an amount for each month of the next fiscal year or you can type in one fixed amount and then copy it across to the other months. Sometimes it is helpful to adjust row amounts by increasing that line item by a fixed percentage. For example, if you expect your Internet expense to go up by 10 percent next year, then you would want to adjust that line item from the previous period to reflect the expected increase in cost. If you want to get creative and try several different budget scenarios, there is no limit to creating new budgets and making them available to budget reports. As the budgeted fiscal year unfolds, you will want to recall the numbers that you used in the setup stage. There are several budget reports that can help you analyze the data. To view the budget only, there is a report called Budget Overview that puts the information in a clean, user-friendly report for you to use. For a more in-depth comparison, you can use the Budget vs. Actual report, which will show you the original budget information next to the your actual profit and loss data. If you choose to view this with either a dollar amount or percentage difference shown, you can start to view your data in a whole new light. This report is extremely effective to highlight trends you might not have expected, both good and bad. Budgets within QuickBooks are not going to provide every statistical analysis function that may be included in more robust budgeting programs. However, the last option for any QuickBooks report is that you can always export the data to Microsoft Excel. In Excel, you have unlimited analysis options by creating your own formulas and functions to get the answers you need. As your business grows, budgeting becomes more essential to making smart business decisions. As a small business owner, I recommend you look at the budgeting options that QuickBooks provides you and start incorporating them into your business workflow.